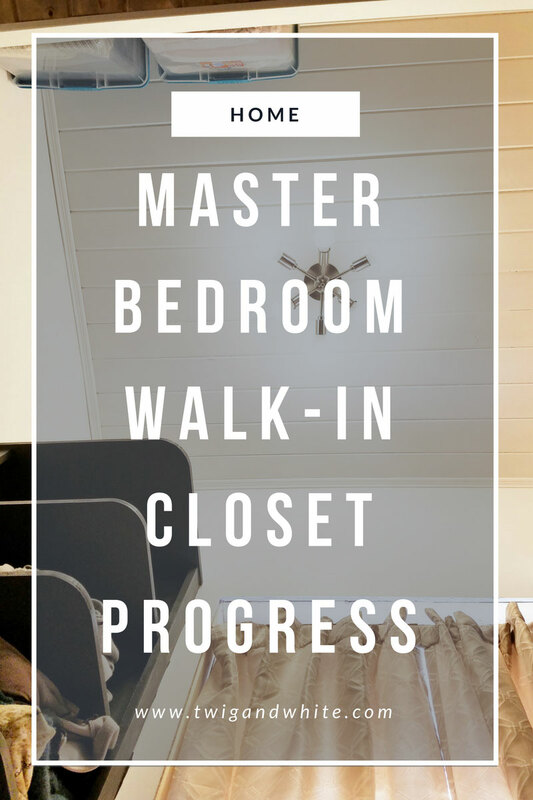 The master bedroom closet project was supposed to be a quick and easy update to the sad space that it was. 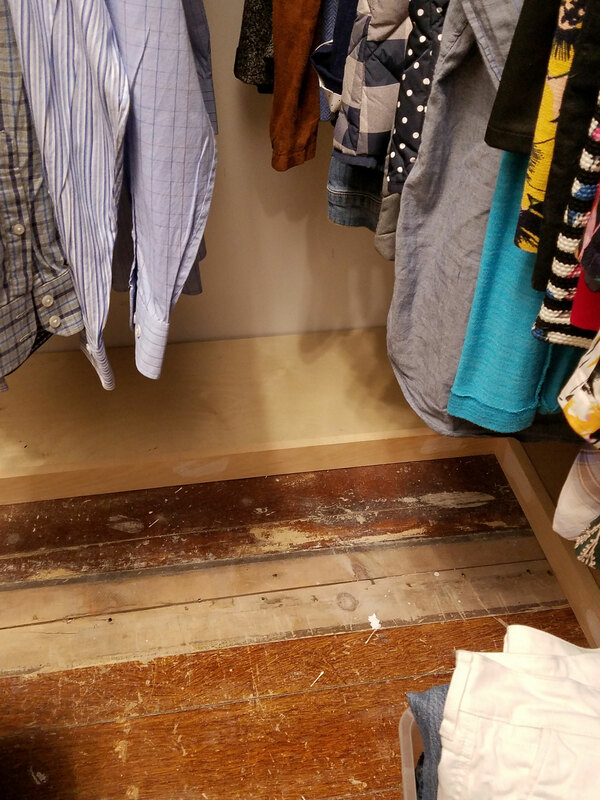 Once demo was underway, the plans changed from a simple weekend project to a full blown renovation of sorts. 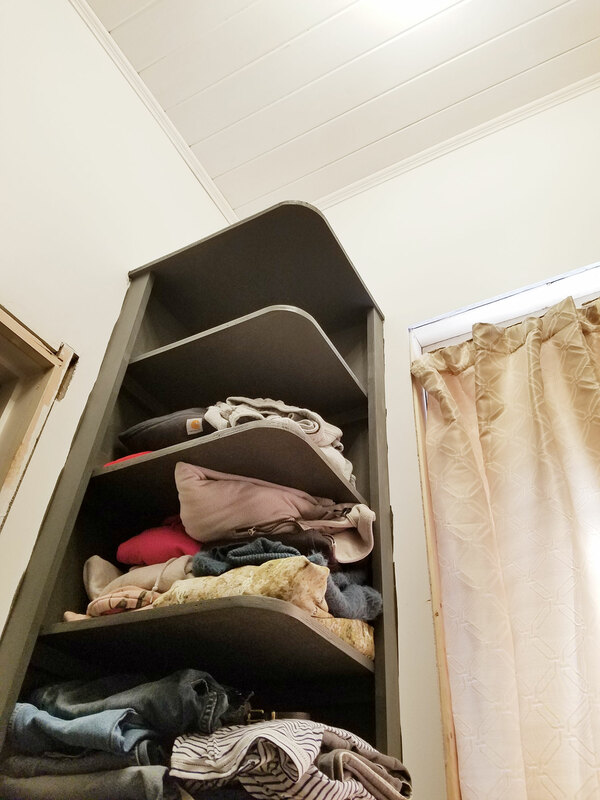 The ceiling was opened up, a new layout designed, storage added and two levels of hanging rods built. You can read more about the beginning stages of the project here. Once the hanging rods were installed it was time to move on to shelving. 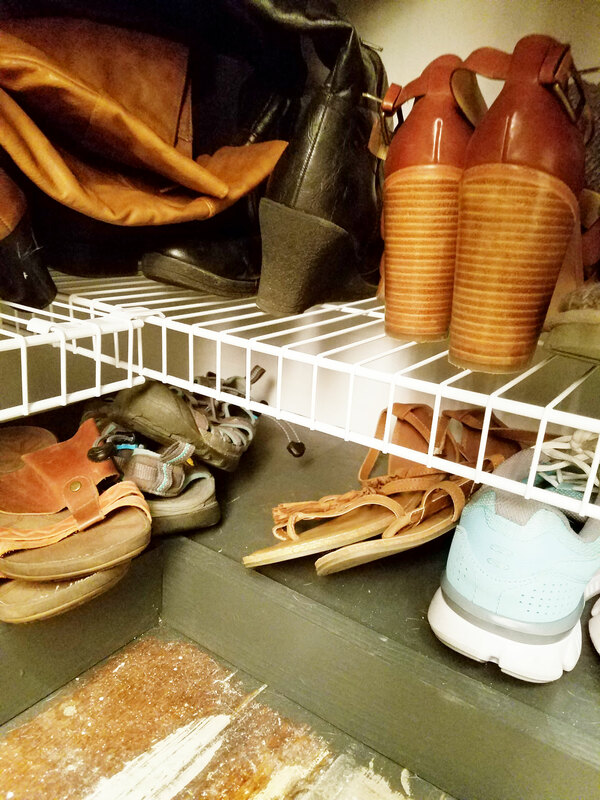 It was important to me that we both have ample space to organize shoes and I needed some space purses and other accessories. 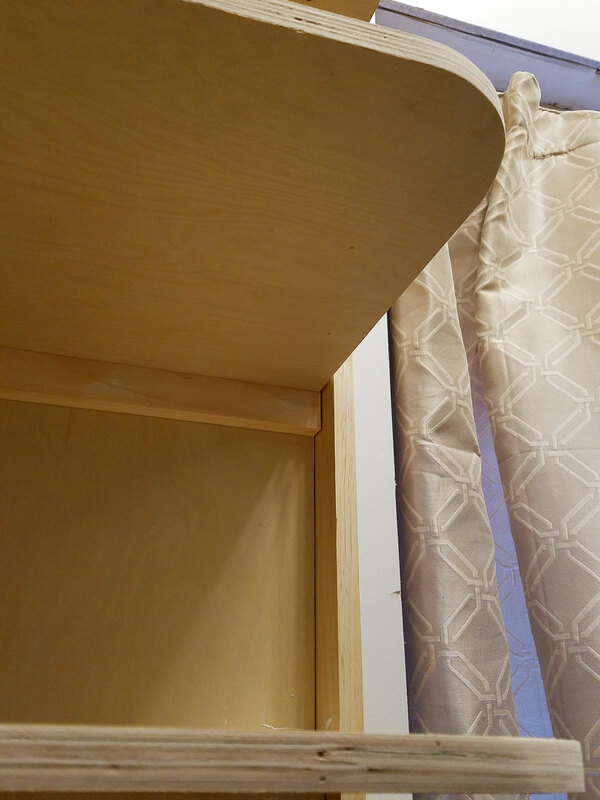 We also decided to use the empty corner for a tall shelf for additional folded storage. 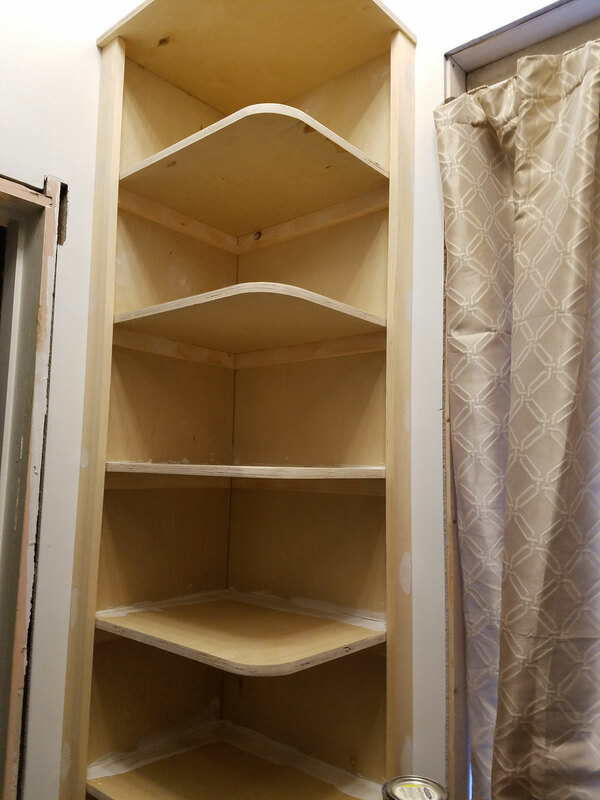 B did an amazing job building the shelves. They appear to be floating which makes them feel less obtrusive. 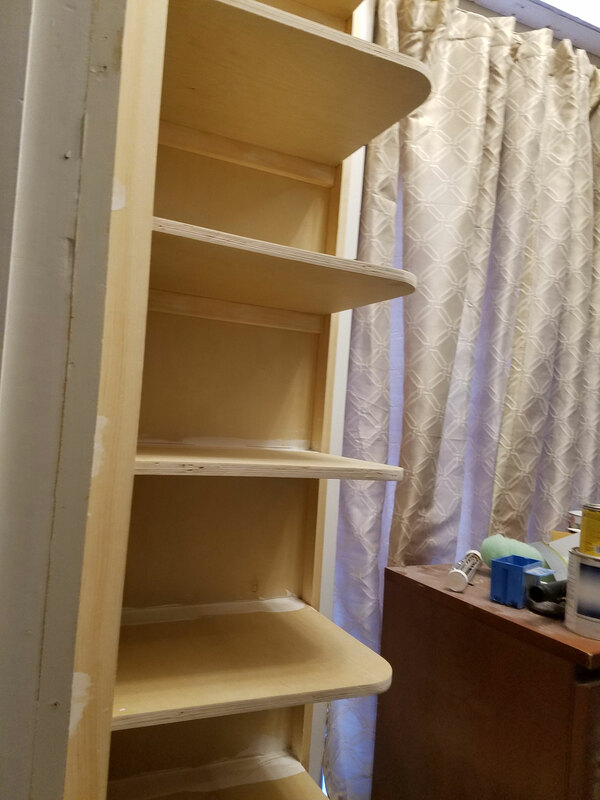 B used cabinet grade plywood for the shelves and it was worth it. I almost hated to paint the wood! 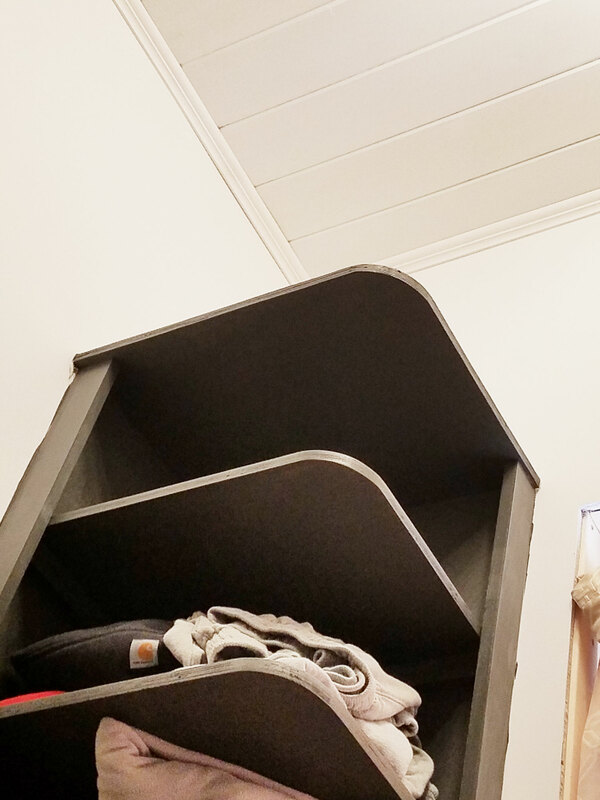 I wanted to keep the room light and clean feeling but really wanted to highlight the beautiful shelves B built so I decided on painting the shelves and trim a dark color. 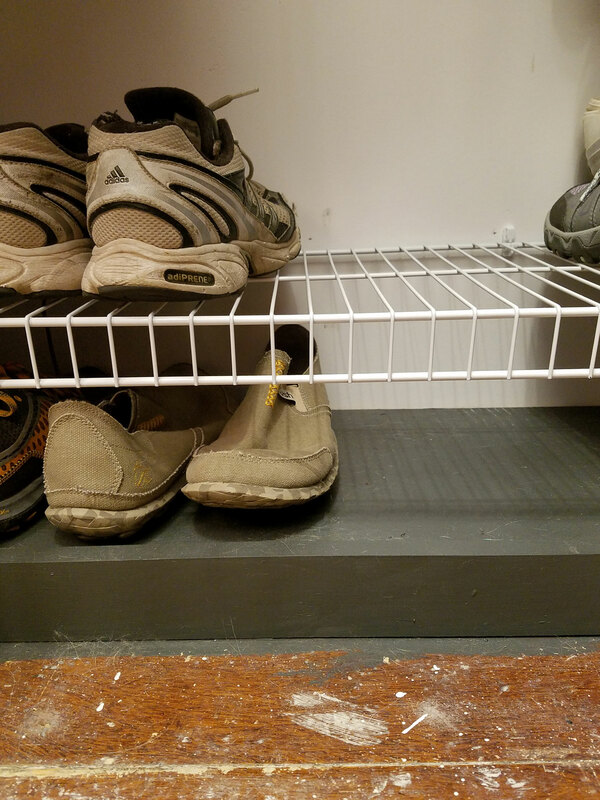 When we do the flooring upstairs it will match the wood we put on the first floor so I feel pretty confident it will cut down on the cold black and white feeling. I also would really love to see some bamboo blinds and soft curtains which should also help soften the sharp contrast in colors. B still has the trim to do and then we’ll install doors until we are ready to add the hardwood flooring. Until then, we’ve moved back in and it’s amazing how we have more room but more storage at the same time! Proof that using vertical space in tight quarters really helps! White Paint: Benjamin Moore ….